Japan travel guide for foreigners. Introduce popular sights and local tourists attractions in Japan. Tomamu located in the center of Hokkaido.In Tomamu "Hoshino Resort Tomamu", is known as a winter ski resort, summer "sea of ​​clouds Terrace" is popular. Early summer, when you climb in the middle of Mt. 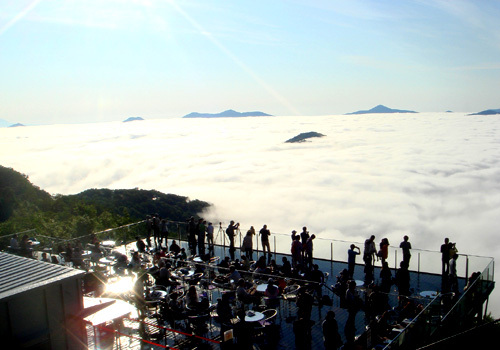 Tomamu gondola, you can see one side overlooking the sea of ​​clouds. The terrace has a coffee shop, you can drink coffee while overlooking the beautiful sea of ​​clouds. Is hard to get up early, enjoy the excitement that can not be experienced elsewhere. Tomamu takes about 1.5 hours to train from Sapporo.